PINOY LOTTO DAILY DRAW RESULTS. EZ2 Lotto Result 9PM Draw. View the latest of EZ2 Lotto Result 9PM Draw winning combination for today, updated within moments of the draws taking place. It is the perfect place to discover whether you have become the jackpot winner and you can easily access the latest results for all Philippine Lotto Results. DISCLAIMER:PCSO LOTTO DAILY RESULT is not in any way connected with PCSO OR Philippine Charity Sweepstakes Office. 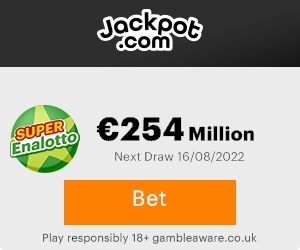 Likewise the EZ2 Lotto Result 9PM Draw found on this website are considered UNOFFICIAL and subject for validation. Therefore, Please check with the PCSO Official website www.pcso.gov.ph, PCSO branches and offices, lotto outlets, or via the lotto draw broadcasts every night at 9 pm aired over PTV 4 for the official announcement of results. A Player who will play this game will instantly chose two numbers from 1 – 31, and if his chosen numbers match the winning combination drawn in exact order for that particular draw, he wins Php4,000.00 per-ten-peso-play. Each ticket costs PhP10.00 per combination. The EZ2 Lotto Result 9PM Draw is fixed-prize game, therefore getting the two (2) drawn winning numbers in exact order wins you the 1st prize of PhP4,000.00 per ten-peso play. Playing via the Rambolito wins you PhP2,000.00. Here’s the EZ2 Lotto Result 9PM Draw winning combination for today! Drawn daily every 11:00 am, 4:00 pm and 9:00 pm. EZ2 Lotto Result 9PM Draw are broadcasted within the Philippine Lottery Draws TV Program broadcasted over PTV4 at 9:00 p.m.